Is this Fiction or Reality? 1 eBooks – A book that will CHANGE how we view our Reality! This is the amazing story of Sollog, a man that claims he is a TIME TRAVELER and who has changed every law of Physics with his work titled Theory E. Everything you know is wrong says Sollog and he proved Newton, Einstein and Hawking were all wrong with hisTheory E.
For over 20 years Sollog has amazed his fans all over the world by placing the exact details of historic future events into public records. The reader of this series of books, gets to explore hyper text links in the story to our reality where time stamped records of our past contained our future. So the story asks, Is this Fiction or Reality? As you read this series of books you will ask, How could Sollog put exact details of our future into public court records and into published news papers and other media? Are you ready to open the Matrix of this reality and learn that everything you do is pre-programmed and that you have no free will? Is all of humanity just DNA Bots that another dimension controls and that control of historic events is programmed in such a way to reveal to the seeker of truth that everyone is having their strings pulled by another reality in which AI is very real. This series of books is so controversial they have been BANNED BY AMAZON most likely due to the order of the NSA. 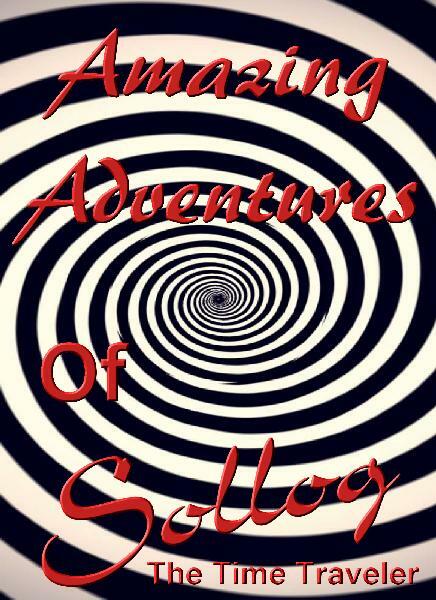 Sollog has indeed created a historic new series of Time Travel Books called the Amazing Adventures of SOLLOG – The Time Traveler. Book 1 – The Red Pill was supposed to be offered exclusively on Amazon in the Kindle Unlimited program for FREE if you are a subscriber to Amazon’s Subscription Service, however AMAZON HAS BANNED THE BOOK! That’s right you heard it right AMAZON HAS BANNED THIS BOOK and the reason is the NSA is trying to silence the author from revealing his TIME TRAVELING ADVENTURES and his new math theories from the Astral Plane! Now you can read the books that are shattering our reality and exposing that our reality is a controlled virtual world where the future exists in the past and the past controls the future.